Keeping your loved one engaged through physical, mental and social activities will help to create positive experiences that can diminish or alleviate the stress and behavioral symptoms that can accompany Alzheimer’s disease and other dementias. Activities can also build self-esteem, enhance physical strength, and help with activities of daily living. 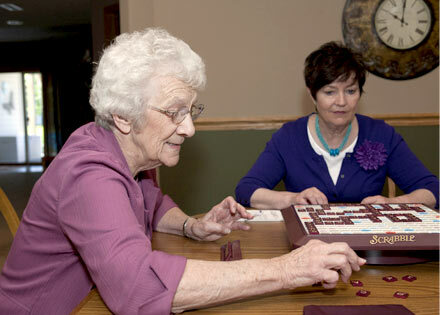 Course developed by the Home Instead Senior Care® network. © 2019 Home Instead, Inc. All Rights Reserved. Each Home Instead Senior Care® franchise office is independently owned and operated. Note: This course is for informational purposes only: it is not intended as a substitute for professional medical advice. Always seek the advice of a qualified health care provider for any medical questions. Printed from www.HelpForAlzheimersFamilies.com/learn/alzheimers-education/ © 2019 Home Instead, Inc. All Rights Reserved.